Dr Andy Large (Chair of Governors) is a physical geographer at Newcastle University and has 25 years of experience in river and wetland science. His current research focuses on the effect of extreme rainfall on flooding. Other recent work includes examining the effects of the 2010 Eyjafjallajökull volcanic eruption on river systems in Iceland. Andy’s work also emphasises societal impacts of environmental change. 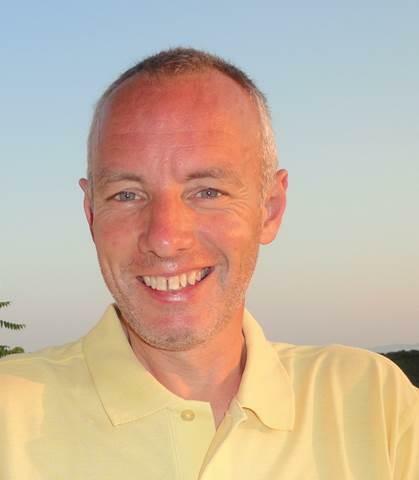 Andy joined the governing body of Darras Hall First School in 2007 as a Parent Governor and has served as Chair since 2010. He is currently a Community Governor. Both of his daughters attended the school (Sophia 2002-2008; Emily 2004-2010) and always say it was the best of the three they have attended. Andy’s plum job in addition to his role as Chair of Governors is in helping to set off the fireworks on Bonfire Night. You might also recognise him in his other traditional role as Mr Tincombe’s partner in the stocks in the summer fair!